Waterbeds are the preferred sleeping surface for many people. The Sleep Center stocks all the waterbed supplies needed for optimal care. The Sleep Center has been the main provider of waterbed supplies to the Pensacola, Florida community for over 20 years. This has allowed us to build a loyal following of customers, which in turn keeps us tuned in to the needs of today's waterbed owners. 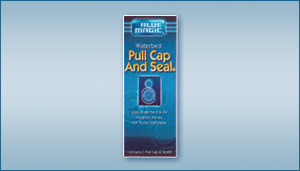 We carry several different waterbed mattresses, water conditioners, fill & drain kits, caps & seals, patch kits, heater kits and much more. And we can special order waterbeds and any component of one, so bring us your waterbed idea and we will fill it. The Innomax Luxury Support Evolutions free flow waterbed is a 8" high softside waterbed crafted with pride in the USA. The multi-zone posture grid support provides maximum back and body care to make your night's sleep even more comfortable. The impression resistant plush top is packaged with a refreshable and reflufable smart top which helps keep the bed sturdy for years. It also offers firm and soft dual adjustability for individual preference so you will be able to find your perfect level of comfort. The Innomax Evolutions softside waterbed mattress set comes with the mattress top, foundation, digital heater, drain hero liner, and free flow water bed tubes. Add on the hose kit and the Drain Hero fill and drain kit and receive a discount. We provide free shipping for the Innomax Luxury Support Evolutions softside waterbed, and with a 20 year limited warranty you can feel secure in your sleep system investment. 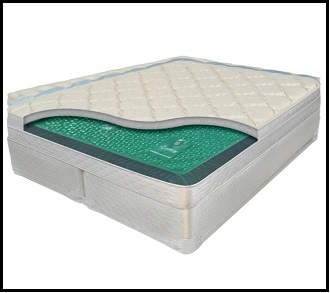 ♦ Free Flow Waterbed with the ability to customize sleeping surface with waterbed tubes. ♦ Set includes top, foundation, digital heater and free flow tubes. ♦ 8" Traditional plush top design. ♦ Durable Belgian Damask cover. ♦ Impression resistant pillow flex. ♦ Removable, dry-cleanable smart top. ♦ Body balance multi-zoned support. ♦ Made in the USA. Waterbeds need the proper balance to the water to prevent slime, algae, and corrosion. Our waterbed multi-purpose water conditioner treatment is specially formulated for complete time-released protection in fiber, foam and baffle watermattresses. Something that will need to be done at some point with your waterbed is to drain your waterbed, which will then require filling it and conditioning the water. Our fill & drain kits tackle this tack with ease. 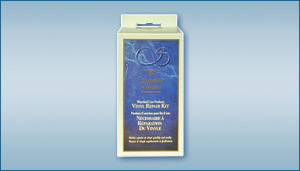 Everything you need to fill, drain and condition your watermattress. (Includes: faucet adaptor, perfect union, super siphon and 4 oz. Standard Conditioner). About the worse thing that can happen to your waterbed is springing a leak. When it happens, our waterbed repair kit is the best in the business. Makes repairs to vinyl quick and easy. This is a needed luxury item for your waterbed. Designed for maximum air and watertight security. Ideal for opening and lifting mattress valve with ease.